Registration is restricted to local, tribal, state, federal, and military law enforcement or corrections officers, non law-enforcement members of crisis negotiation teams, or other individuals directly supporting law enforcement activities. This course is restricted to personnel who have previously completed an MCTC Tactical Medicine course. TCCC Refresher is an 8-hour course designed to refresh law enforcement personnel or EMT-basic with the basic life-saving techniques and strategies for providing the best trauma care on the battlefield. The course curriculum includes an overview of Tactical Casualty Care (TCCC), basic medical terminology, anatomy/physiology as it relates to Tactical Emergency Medical Support (TEMS) Individual First Aid Kit (IFAK), Airway Management, Chest trauma and Advanced Bleeding Control procedures including the latest in TCCC application. The course combines classroom learning and hands-on skill stations. This course can be tailored to agency-specific needs. 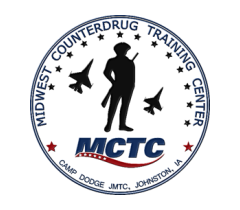 TCCC Refresher is a 1-day (8 hour) course. Students must have completed Tactical Medicine for High Risk First Responders, Tactical Medicine for High Risk Response Teams, or Tactical Medicine for Patrol.